« AS&R Meeting – You’re Invited! 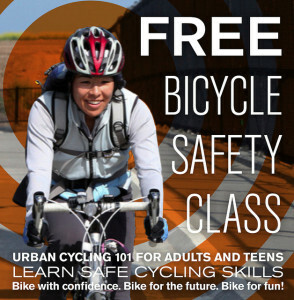 Come on down and learn how to ride a bike more safely – and have more fun! Want to ride but don’t quite have the confidence? Take this FREE Bike East Bay classroom class that focuses on road-cycling safely. No bike required. This fun workshop is taught by one of Bike East Bay’s instructors certified by the League of American Bicyclists, with funding provided by the City of Oakland. Learn basic rules of the road, how to equip your bicycle, fit your helmet, avoid bike theft, ride after dark, and prevent common crashes. 2-hour, indoor workshop for adults and teens, no bike required. Attending this or any of Bike East Bay’s other classroom workshops qualifies you to also sign up for one of therr free “Day 2” on-the-bike road classes and earn a free set of bike lights! Click here to see Bike East Bay’ current schedule of Day 2 classes. Attendance is Free, but you must register HERE.